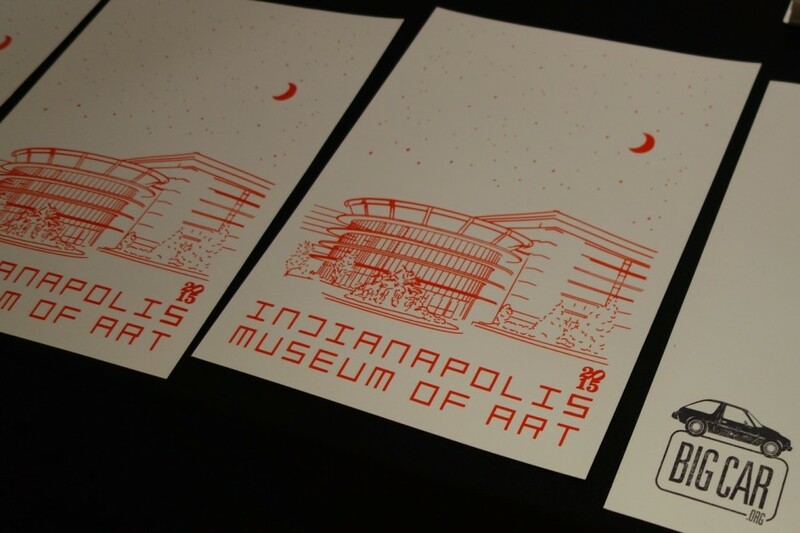 Big Car has a history of creative collaboration with our friends at the Indianapolis Museum of Art. 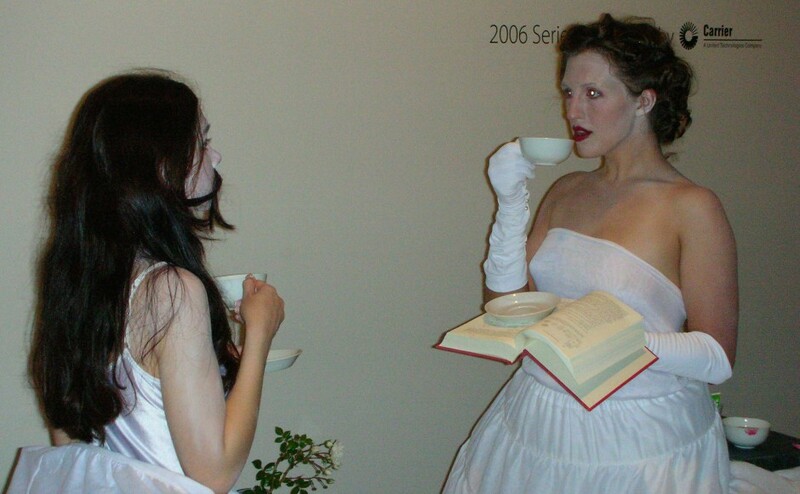 In June 2006, Big Car took over the IMA contemporary gallery with a live installation of cake-eating vixens, ghostly figures, theremin vibes, and saw music to complement the haunted fairy tales depicted in the paintings of artist Amy Cutler. 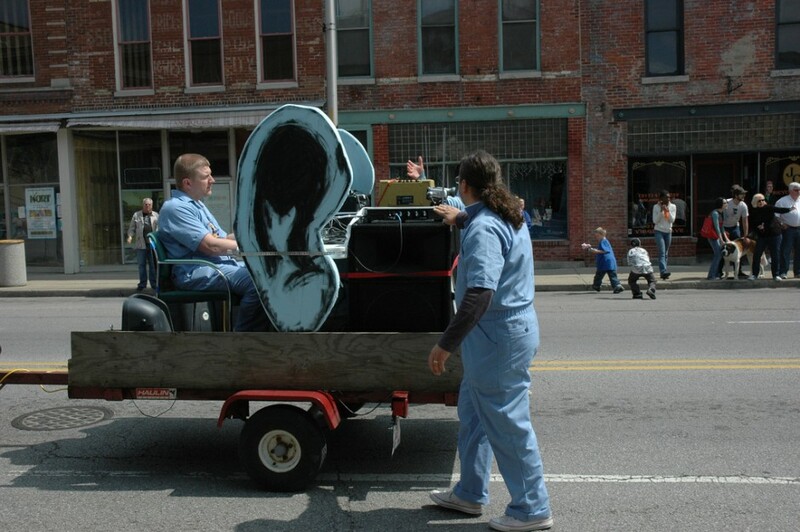 In April 2008, the IMA contemporary art department commissioned local artists to perform in a parade called EAST MEETS WEST INTERCHANGE OVERPASS PARADE in Fountain Square. Big Car collective members teamed up as an outfit called Chambray Blue Jumpsuit Division and processed with a pickup truck transformed into a noise machine that picked up ambient sound as it travelled. Video of Big Car’s work was featured in an the IMA galleries of contemporary art from May to August 2008. 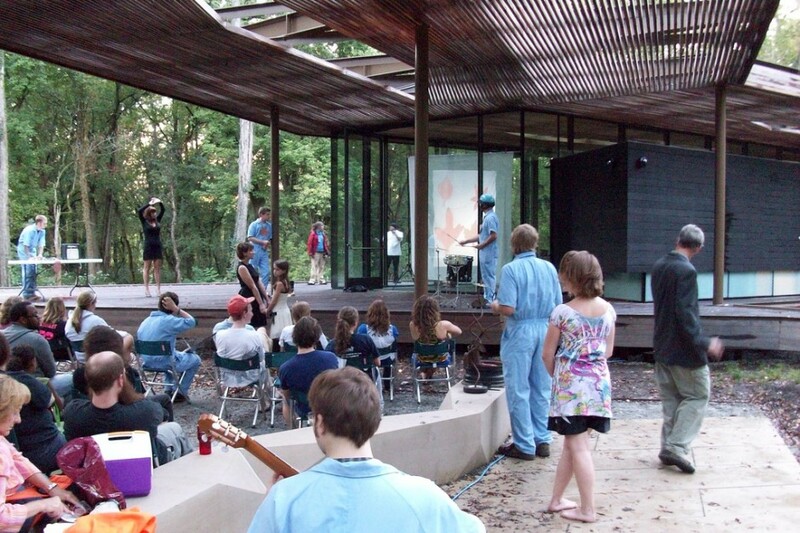 In September 2010, Big Car was asked to perform in the IMA’s 100 Acres: Virginia B. Fairbanks Art & Nature Park on the occasion of the autumn equinox. Big Car’s performance group Pharm Accident presented Leaf Collective, aconducted-but-improvised performance of wood knocking, branch shaking, movement and sound art inspired by falling leaves in this natural setting. Sound performers on stage watched a projection on the stage of a leaf that matched one pinned to their jumpsuits. When their leaf was visible, they performed. Sometimes one at a time, sometimes as duets, sometimes as a full noise orchestra. A particular person doing movement (dancing, tree play, etc.) corresponded to each sound and would begin to perform when that sound began. 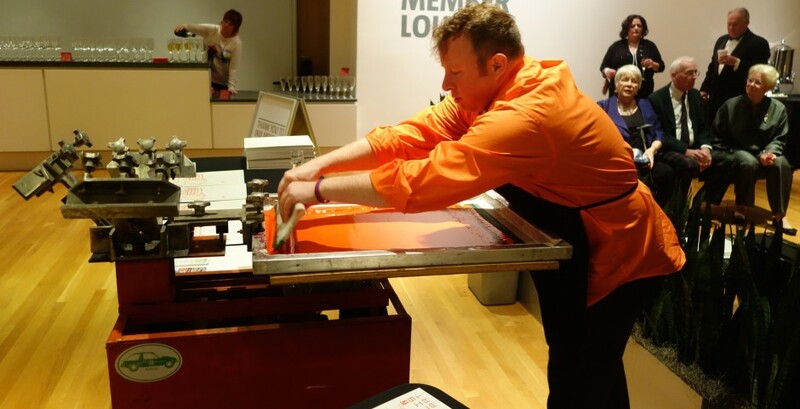 In October 2011, Big Car partnered with the IMA Contemporary Art Society, Indy Film Fest and IMOCA to present a screening of Gravity Was Everywhere Back Then (2010), a film by artist Brent Green about a Kentucky hardware clerk named Leonard who builds a crazy quilt house for his cancer-stricken wife. The film features stop-motion animation and a funk-punk score performed live.